In the summer of 2008-09, just after my co-op year (internship) finished for uni, but just before my graduate job started in the corporate rat race at one of the places monitored on Firmspy – I’m no longer there, nervous employers!, I took two months off life to go travelling to New York and Mexico with a good friend. It was my first time overseas. We spent ten days in New York then headed south to Cancun (yuck, but a necessary airport stop) and spent the next six weeks backpacking our way through the Yucatan, Palenque, San Cristobal, Puerto Escondido, Oaxaca, Mexico City, and Guadalajara. Oaxaca is a food lovers delight, but one of the key experiences that stood out for me there was going on a tour of mezcal factories (like tequila), getting half smashed, and then going out in the town of Oaxaca, finishing the night with a street food snack: corn, on the cob, drenched in butter and mayo, covered in chilli and lime and cheese, and eaten dripping on the footpath at 3am. Like this, but bigger, cheaper, and not served on a plate. The corn! That corn. I dreamt about the corn when I got back to Australia. I tried to recreate it at home, but I didn’t have the queso, I didn’t know what kind of chilli they used… I also brought back michi mix to try and recreate micheladas (beer cocktails with tomato juice, chilli and salt rims) but to no avail. 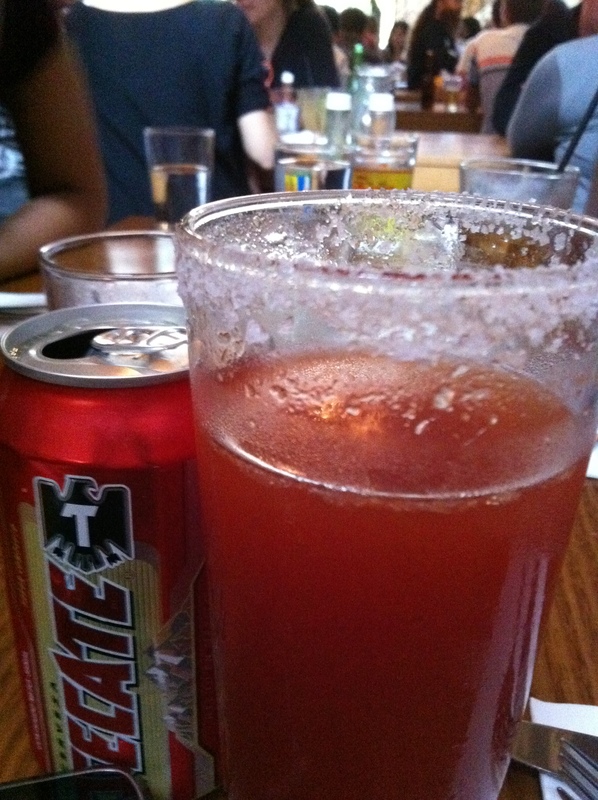 When I heard Mamasita first opened and was NOT ONLY serving the corn, but also micheladas… I was first in line. …Not literally though, so I was banished with the words “three hour wait”. This happened two or three more times and I despaired of ever getting in and eating the corn. Finally I made it, and now I’m a veteran. It costs more than my Oaxacan corn, though. Mamasita is a buzzing place, and if you’re not a fan of noise and buzz and sitting on high stools, it is not for you. This was my fourth visit to Mamasita, although my first where I was taking photos of the food with my iphone (quality is average, though, due to the light). I think the queue thing is calming down a bit now – we were a group of five, and got in okay at around 6pm on a Friday night. The wait staff are also very good at managing the line and your expectations regarding said line, although this can lead to a sense that they are waiting for you to vacate your table at the other end of the meal. Salt rimmed, spicy, cold and refreshing. The corn. This is a must-order for me, although my aforementioned dreams of chilli cheesey lime-y corn may be a bias factor. Although… I hear quite a few places around Melbourne are doing it now. Check out the blackened kernels from their time on the flame. I would go one of these at any hour of the day or night. Some of my dining partners ordered the ceviche de Yucatan, which must have been good as the helpful staff (who were probably itching to give our table to a new party) kept trying to clear the dish away and she kept holding on to it for dear life. 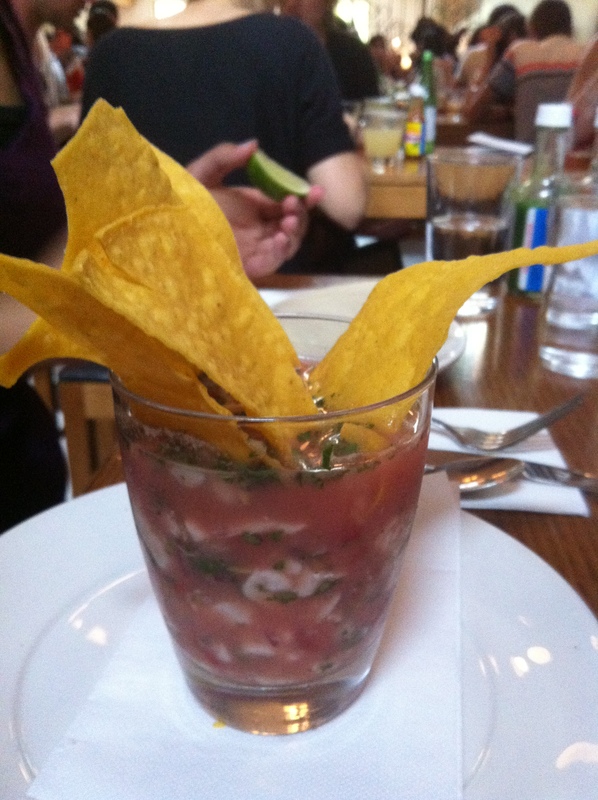 Ceviche is fish that has been ‘cooked’ – or cured – in lime juice. The acidity in the lemon or lime juice cooks the flesh of the fish. It’s a really refreshing, tangy taste. Needs to come with a basketful more of tortilla chips. I had a taco de camarones (prawns, with chipotle and almond sauce) and shared a quesadilla de pollo (chicken with two different types of cheese) to make up the rest of my meal. Mamasita provide you with a not-very-spicy salsa called pico de gallo (which I wasn’t ever proffered in Mexico but… shrug, it’s tasty) which I spooned all over my food. The flavours of both dishes were good. 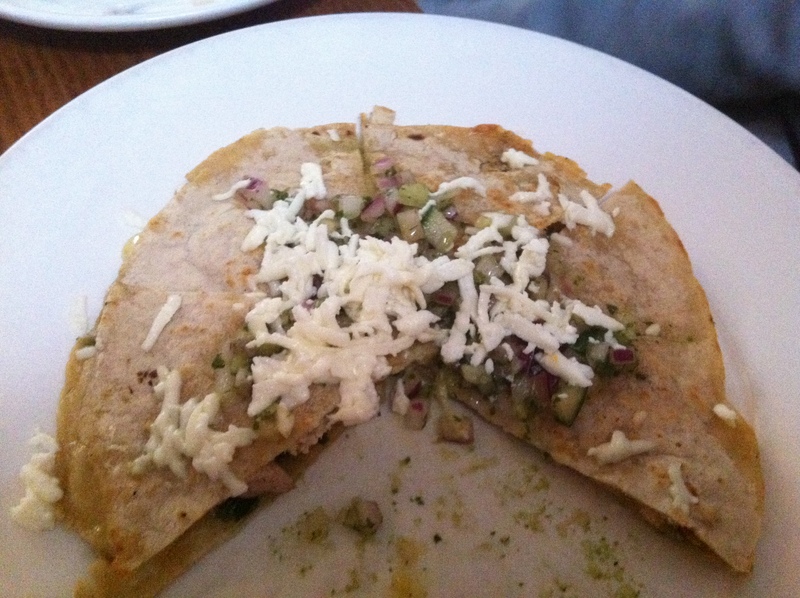 The prawns came with red chilli and a green almond salsa in the taco, and I preferred this to the quesadilla, which was a little bland. Unfortunately for drinking and snacking food, Mamasita is a touch overpriced. This is how, if you’re not ordering mains, the bill can be racked up quite quickly – when I left at the end of this meal, I wasn’t overly full, just pleasantly replete. But I could have gone a bit more food. Ya feel me? Not that this seems to affect my, or thousands of others, visiting the joint. Vegetarians are pretty well catered for too, but would probably find the value for money proposition even worse. My travelling partner in Mexico was vegetarian, however, and she tired of eating nopales (prickly pear cactus) after six weeks (okay, there were OTHER dishes she could have, like huitlacoche or corn ear fungus, which I’m pleasantly happy to have eaten in quesadilla form at Mamasita, awakening another Mexican food memory)… so bless Mamasita for jazzing up some vegetarian dishes. They do offer nopales as well, though. Everything’s gluten free, as well. 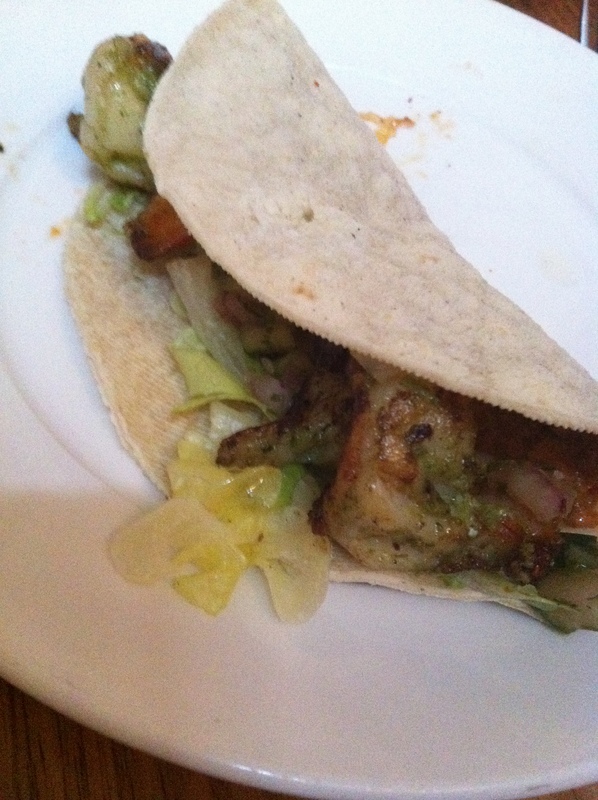 The beauty of corn tortillas! If your only experience of Mexican food in Melbourne has been Taco Bill, get yourself down to Mamasita pronto and see what it’s like. It’s a damn sight closer to what I was eating. 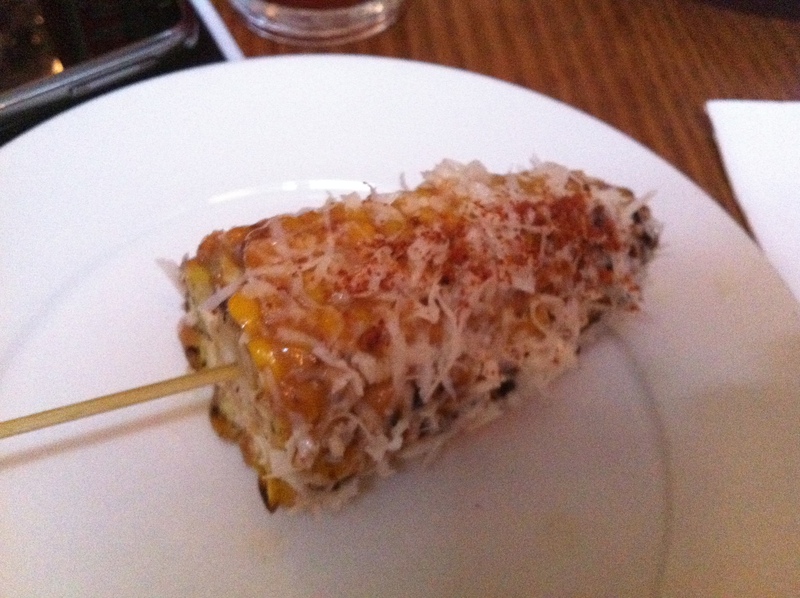 Sure, it’s overhyped, but… go for the corn! 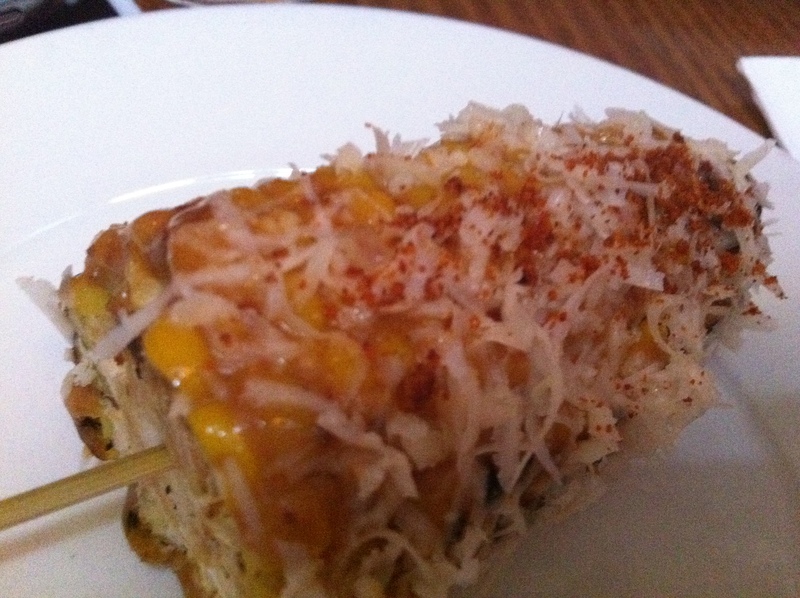 There are 75 other blogger reviews of Mamasita on Urbanspoon for you to work through, so I won’t bother linking to all of them here, however I will point out some recent posts: Edible Posts loved the corn as much as I did; Let Me Feed You loved both the corn and the huitlacoche, woohoo! and two munch think the food is good, but a bit overpriced. Sounds familiar. Tags: ceviche, corn, gluten free, mexican, michelada, quesadilla, queues, taco, vegetarian. Bookmark the permalink.